Community Theater will be bursting with talent! You won't want to miss a single performance and you won't have to because ALL concerts are now FREE with Fair admission. Chairs will not be allowed on the Community Theater lawn area. Blankets are OK. The Community Concert Series kicked off on Thursday, August 2, 2018 at 7:30pm with a spectacular tribute to Queen, with Queen Nation. Their uncanny note-for-note live renditions of Queen’s classics such as “Under Pressure”, “Another One Bites the Dust”, “We Will Rock You”, and of course “Bohemian Rhapsody’, were not-to-be-missed. On Friday, August 3, 2018 at 7:00pm we had the popular Batalla de Bandas (Battle of the Bands). Seleccion de Colima and Tecno Banda Clave 707 battled it out on stage! On Saturday, August 4, 2018 at 5:00pm we kicked off our inaugural Blues Festival. Festival acts included Blues Hall of Famer, Joe Louis Walker, who is a true powerhouse guitar virtuoso, unique singer and prolific songwriter. 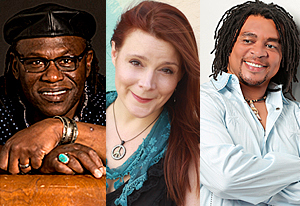 Also, Grammy Award winning songwriter, entertainer, and musician Grady Champion and Carolyn Wonderland, a musical force equipped with the soulful vocals of Janis Joplin and the guitar slinging skills of Stevie Ray. 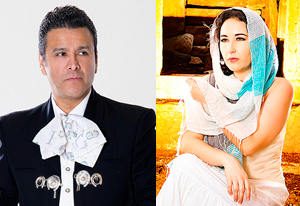 Sunday, August 5, 2018 at 7:00pm featured Domingo de Fiesta with Ismael Galleogs and Uri Ceballos, plus Ballet IMBA and Mariachi Oro de Mexico. 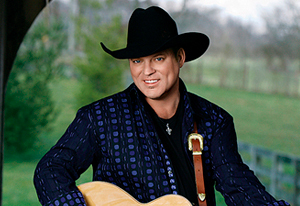 Monday, August 6, 2018 at 7:30pm was country music legendary vocalist John Michael Montgomery. John Michael Montgomery has turned an uncanny ability to relate to fans into one of country music’s’ most storied careers. Behind his string of hit records and country classics like “Life’s a Dance,” “Forever”, and “I Swear”, John has developed a not-to-be-missed concert experience. What do you get when you take, rock, jazz , and a little pop and mix it all together perfectly over four decades? Well, as we found out on Tuesday, August 7, 2018 at 7:30pm, Blood Sweat and Tears took the stage – one of the greatest bands in the history of music. With such favorites as “Spinning Wheel”, “And When I Die”, and “You Made Me So Very Happy,” BST is timeless and hugely popular, developing into a contemporary voice, one that reaches beyond one generation. 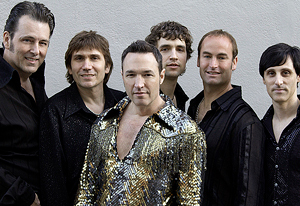 Did you just hear the opening of “Sweet Caroline”?...You probably did on Wednesday, August 8, 2018 at 7:30pm, when we featured Super Diamond, a Neil Diamond Tribute band. They serenaded us with the iconic work of Mr. Diamond including “Forever in Blue Jeans”, “I am…I Said”, and “I’m a Believer”. 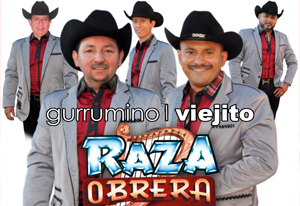 On Thursday, August 9, 2018 at 7:30pm we had La Raza Obrera del Gurrumino y El Viejito. Known for getting people to the dance floor, La Raza Obrera del Gurrumino y El Viejito brought their unique style of music and its prominent use of the harp, accordion and charango to Thursday night at the Fair. 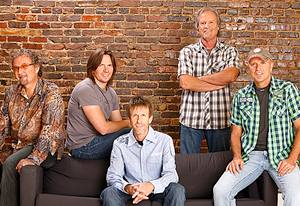 Described as the “Rolling Stone of Country Music,” Sawyer Brown hit the stage on Friday, August 10, 2018 at 7:30 pm. 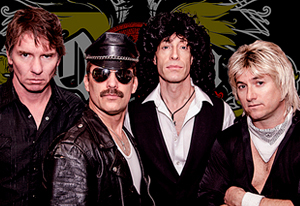 This band’s live shows are legendary, even after 4500 shows and counting!!! We hope you didn't miss the excitement of singing along with their hits, “Some Girls Do”, “The Walk”, and “Six Days on the Road”. Elvis has left the building!...or has he? Back again was Elvis Day at the Fair on Saturday, August 11, 2018. The celebration culminated with the Elvis Impersonation Contest at 8:00pm, featuring 10 Elvis impersonators performing with a live band, all competing for a $1,000 cash prize…”Uh, Thank you very much!”. And wrapping up on Sunday, August 12, 2018 at 7:00pm, was Arkangel R-15. 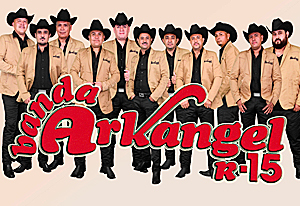 Thanks for helping us close out the 2018 Sonoma County Fair with a great show and music by Arkangel R-15 including hits like: La 4X4, Tu Nueva Vida, Voy a Pintar Mi Raya and many many more.